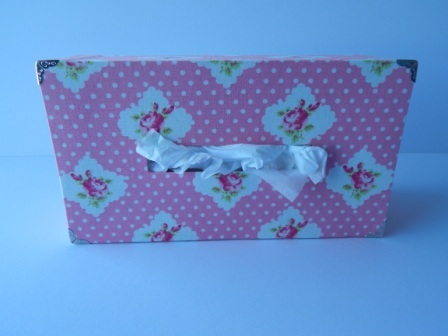 Our boxes are handcrafted using quality products and 100% cotton. 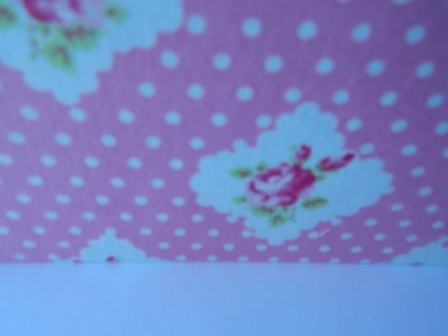 Fabrics are carefully chosen and coordinated to create beautiful boxes for all occasions and uses. 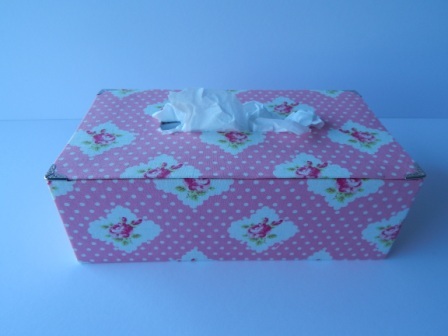 Tissue box cover. Pink polka dot with roses.